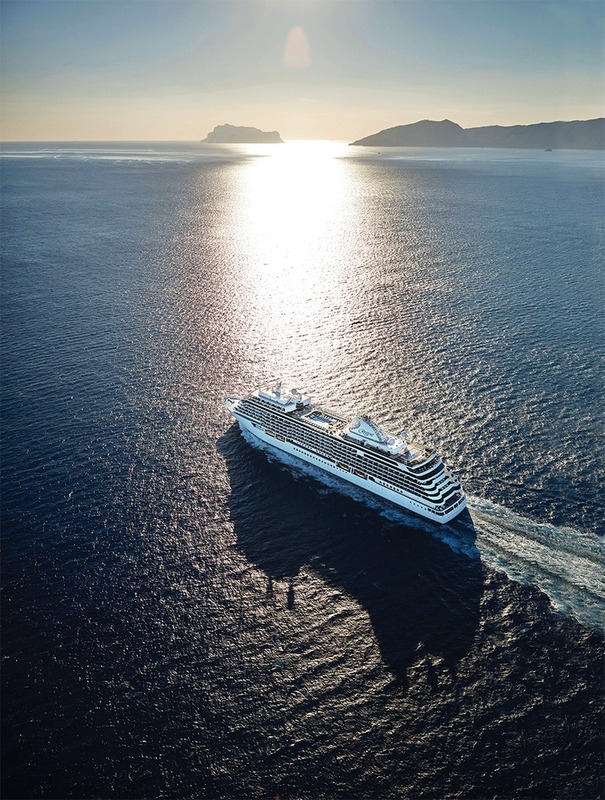 See why Regent’s Seven Seas Explorer is a ship of superlatives. As a journalist, you’re not supposed to believe such marketing speak as “the most luxurious cruise ship ever built,” right? Except here’s the thing: Compared to other cruise ships, Regent Seven Seas Cruises’ new 750-passenger Seven Seas Explorer feels, well, palatial. Then there’s the fact that the all-suite, all-balcony ship has, up on Deck 14, a mansion-sized suite that goes for $10,000 per night — and comes with its own spa. It’s by far the fanciest suite at sea. Luxury on the 55,254-ton Seven Seas Explorer, the largest in the four-ship Regent fleet, is not about subtlety. It’s about carefully designed spaces, both classic and opulent, that express that this vessel was built for those with the finest of tastes — and the budgets to match. Frank Del Rio, president and CEO of Regent’s parent company, Norwegian Cruise Line Holdings, had a clear idea of where he wanted to go with this new ship: It would be a trophy ship for the “one-percenters of the world,” a symbol that wealth is back in vogue. The line’s customers, he said, have a net worth of more than $2 million, are mostly older Americans, and are a loyal crowd, with many repeat guests on every sailing. They may be too proudly low-key to show up to dinner wearing 6-carat diamond earrings (Regent doesn’t do formal nights), but they definitely love luxury. Indeed, no stone has been left unturned aboard Seven Seas Explorer — literally. The ship has an acre of marble, half of it Carrara, and another acre of other stone laid out in intricate patterns. Then there are the soaring ceilings that are topped by sparkling chandeliers, hundreds of them in hand-blown Czech crystal and glass, even in guest hallways. Stunning original artwork includes eye-catching abstract paintings commissioned for the ship from renowned Spanish artist Eduardo Arranz-Bravo. Picasso, Miró, and Chagall are in the mix, too. Different styles are represented in Seven Seas Explorer’s décor — everything from Art Deco and Art Nouveau to country club and modern — and it’s all very tasteful. Seven Seas Explorer is a ship where champagne flows freely; caviar is help-yourself at breakfast on select mornings; dinner menus feature always-available lobster and filet mignon, and tables are decorated with Versace chargers and butter plates; and an international crew of 552 is tasked with caring for guests’ every needs. Art and design are passions of Del Rio, who said his inspiration for Seven Seas Explorer came from a magazine photo of a hotel corridor, which he said perfectly captured an attitude he wanted for the new ship. Del Rio showed the picture to the three firms hired to work on the newbuild project — Tillberg Design AB, ICRAVE and CallisonRTKL — and the designers immediately got what he was going for. “It signified things to us like quality, level of finish, stylistically the direction that ship needed to go,” said Greg Walton, vice president, CallisonRTKL. Armed with a photo and a ship that topped $450 million, the designers set out to create an ambience as fine as any grand European hotel. Del Rio says he can’t even remember what hotel was in the photo, but that the salon area leading to the Compass Rose restaurant best reflects what he was looking for. 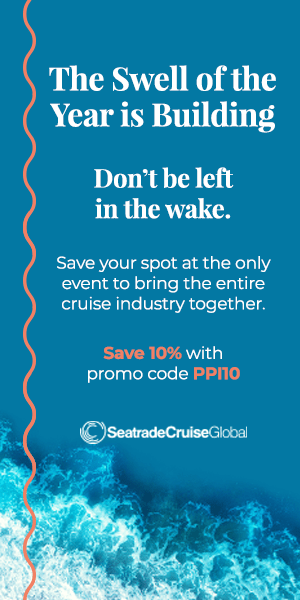 If you’re a designer, can you imagine anything better than working with a cruise line executive whose vision involves wanting the best of the best? Aboard a pre-inaugural sailing, the ship’s designers were downright giddy talking about Seven Seas Explorer’s extravagances. This is a ship where quality French and Italian fabrics abound; where gold leaf mosaics are part of the décor in the new French restaurant, Chartreuse; and where hand-blown Murano sconces add supper club classiness to the theater. Walton added that he was surprised when Del Rio even green-lighted his request to spend $500,000 for a Tibetan-style prayer wheel outside the new Pacific Rim restaurant. The cast-iron sculpture was so heavy it required steel reinforcement below, he said. Seven Seas Explorer boasts amazing suites where you could happily take up residence for weeks or months. But the splashiest of them all is the 4,443-square-foot, two-bedroom, three-bathroom Regent Suite, where — for $10,000 per night — you get bragging rights that include sleeping in a $90,000 Savoir No. 1 bed that cost another $60,000 to install and outfit with luxury pillows and linens. Yes, this is an extraordinary space. The master bath includes golden faucets, a private spa with steam and sauna, and the significant perk of unlimited complimentary en-suite treatments from the Canyon Ranch SpaClub. The living room features a $250,000 one-of-a-kind Dakota Jackson–designed Steinway Grand Maroque piano. There’s an open-air hot tub, a private indoor observation area with better views than the captain’s, a private butler, and a car and driver at each port of call. As sweet as this suite is, no one on Seven Seas Explorer is likely to complain about his or her digs. Everyone gets room to spread out; the rest of the suites range from 307- to 2,108-square-feet, and many have oversized balconies. Marble bathrooms are stocked with L’Occitane Mer & Mistral bath amenities, and Penthouse-level and higher suites also come with butler service. With three other luxury ships in its fleet, Regent already stood out in the cruise industry as having the most all-inclusive product. Air, hotel stays, shore excursions, gratuities, premium wine and alcohol, and even Wi-Fi are included in the cruise fare. But besides being an attention-getter in terms of space and luxury, Seven Seas Explorer adds features such as the line’s first hands-on Culinary Arts Kitchen cooking school (classes for up to 18 guests on topics such as Majestic Mediterranean are $89). Other new foodie features include Pacific Rim, where the menu focuses on pan-Asian dishes including sushi and curries (try the duck spring rolls). Chartreuse focuses on classic French with a modern twist (the escargot comes in a ragù). The entertainment lineup brings new shows that were developed by the Norwegian Cruise Line entertainment team, including the whole first act of the Tony Award–winning musical A Day in Hollywood, featuring songs from the 1930s (“Thanks for the Memory,” “Over the Rainbow”) and tap dancing; and a Burn the Floor dance show themed around 1964 and the rise of Beatlemania. And since the cruise execs didn’t want the new “world’s most luxurious ship” positioned too far ahead of the rest of the fleet, the line is in the midst of a $125 million refurbishment program for its other ships: Seven Seas Navigator just received a $41 million upgrade, and is showing off a sparkling and more contemporary look; Seven Seas Voyager follows this fall; and Seven Seas Mariner will be next spring. Seven Seas Explorer arrives in Miami in November to sail its inaugural Caribbean season. If you’re going to make a splash with a new luxury ship, you can’t get much more glamorous than an evening christening in Monte Carlo, a pierside ceremony with huge yachts, and the city’s stunning seafront as a backdrop. The only thing that might top that would be, oh, the attendance by royalty — in this case the ship’s godmother, Her Serene Highness Princess Charlene of Monaco, and her husband Prince Albert II of Monaco. At a black tie ceremony in July that was attended by 700 invited guests, the Princess, elegant in her white gown, cut a red velvet ribbon sending a Primat bottle of Veuve Clicquot smashing against the ship’s hull. Then followed a 40-minute private performance by world-renowned Italian tenor Andrea Bocelli. Taste and class was on display.